Yoast WordPress SEO Title Tags article created March 2014: see more Yoast SEO Tutorials for Google SEO. In this section of my Yoast SEO review/tutorial I’m looking at what the plugin outputs for the very important title element (what most SEO experts wrongly call title tags). 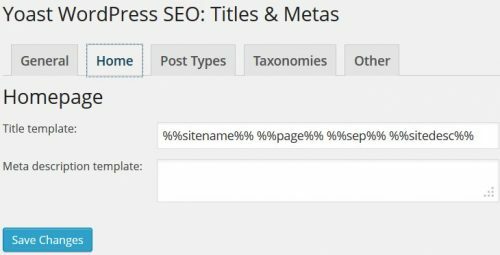 I have two WordPress SEO tutorials (not about the Yoast plugin) at WordPress Site Title Tag SEO (this covers the home page title tag) and WordPress Title Tag SEO (WordPress title tag SEO generally) that should also be read (ideally before reading this Yoast specific SEO tutorial about titles). Before activating Yoast SEO plugin this results in a title tag that looks like this for the home page when Twenty Fourteen is active. This is not best SEO practices 2014 (more like best SEO practices 2010 :-)), as you can read at Site Title Tag SEO unless your site requires branding the perfect title tag is generally just the Site Title. So for my example the home page title tag should be. This is possible with the Yoast WordPress SEO plugin, but it’s NOT the default output and there’s no easy way to set the ideal SEO settings (no SEO advice about the pros and cons either). By default Yoast outputs the same as Twenty Fourteen, the reason for this is under the Yoast options page “SEO” >> “Titles & Metas” : under “Home” tab the default settings are. Interestingly setting the above Home title tag isn’t discussed in the Yoast SEO tutorial, closest is section 1.2 Optimize your Titles for SEO. This means the ideal title for that plugin page on WordPress.org would actually be “WordPress SEO by Yoast > WordPress Plugins > WordPress” instead of what it is now. By luck (or maybe design: makes sense for Joost to name the plugin “WordPress SEO by Yoast” since plugin(s) is covered by the wordpress.org default title tag output, very clever) that title tag works quite well for that page, though WordPress is repeated three times which isn’t ideal. "WordPress SEO Plugin by Yoast > WordPress Plugins > WordPress"
"Yoast WordPress SEO Plugin > WordPress Plugins > WordPress"
Now we have WordPress repeated three times and plugin(s) twice. This isn’t ideal, what if we have a WordPress site that covers multiple niches? It’s OK for wordpress.org since everything on the site is about WordPress, but my site title (on this site) is “Stallion Responsive Theme” and not everything I post is about the theme and I certainly don’t want the sites tagline (Best Post Panda SEO Theme, Responsive AdSense Ad Unit Code) used in any title tags home page or otherwise. The keyword Stallion won’t help this article generate SERPs about WordPress SEO Title Tags for example. The best title tag (not taking branding into account which is important to WordPress) would be. 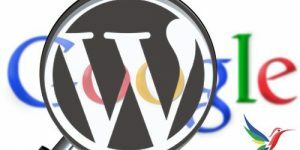 "WordPress SEO Plugin by Yoast"
This fully targets all title tag benefit to the most important keywords for that page. The above Yoast SEO title tag settings are OK for a BRANDED domain like wordpress.org or yoast.com (well known site in the WordPress/SEO community), but for your average WordPress user who isn’t a brand those waste title tag benefit. The best SEO settings for a site that branding is not important or secondary are. I’m not sure why the Yoast WordPress SEO plugin and SEO tutorial are advising out of date SEO techniques, could understand four years ago when the plugin was first released, Google didn’t add the site name to the end of search results and most themes had the site title at the front of all titles, so if you thought having the name of the site was important I can see why this advice was given back then. In 2014 Google fills the additional title tag space with the site title (at the end which is ideal), so if a title tag is quite short Google shows the name of the site anyway. The image below shows two Google searches combined, the top search result shows the home page of this site with it’s title the name of the site “Stallion Responsive Theme”. The bottom part of the image is from the Google search “WordPress SEO Tutorial”, it’s showing the category WordPress SEO Tutorial as the most important page from this site for that SERP. Yet the Google search clearly shows the name of the site with format “WordPress SEO Tutorial – Stallion Responsive Theme”. That’s because Google fills in the remaining title tag characters with the name of the site, so you get branding whether you like it or not without the SEO cost of actually adding the site name to all title tags. Even for a site you want to brand there’s an SEO argument not to include the site name within the title tags sitewide. Basically if a title tag is short enough to also fit the name of the site you’ll see the name of the site as well for Google searches. yoast is by far the most customizable and i found a tutorial that showed exactly what to do to get the most out of it , by the way good review. David nice tutorial thank you! It’s interesting article but it’s still leaves a question about what is the best text to enter to Site Title and Tagline. Can you please say if it’s correctly on one simple example ,so that people can understand it more clearly ? I’m a wedding photographer and my name is Maxim Dupliy. and in Tagline : Wedding photographer, wedding albums, prof. video, good customer service etc. ? Or do i have to leave ‘wedding photographer’ without my name in the title field ? That’s a good SEO question and one we all struggle with on every webpage we create. Do we target a single hard phrase (like “Wedding Photographer”), target multiple relatively hard phrases (like “Wedding Photographer and Wedding Venues”) or a really easy phrase (like “Wedding Photographers on the Moons of Jupiter”). The answer depends upon a lot of factors, though for most sites targeting multiple relatively hard SERPs on one webpage tends to not work (just too much competition now), so don’t go the “target multiple relatively hard phrases” on one webpage route. Is it a hard niche : Weddings is a hard niche, there’s money to be made, so lots of competitors. Do webpages on the site already rank for hard phrase : if so means you can target harder SERPs. Is it a new site : if it’s new you won’t rank for anything hard until you’ve built links. Can you acquire lots of quality backlinks : not very good at link building, only target easy SERPs. There’s so many SEO factors involved it’s impossible to give a one way fits all response. SEO should be mostly about search engine traffic, you want to get maximum traffic for your SEO efforts. With this in mind keyword research is essential, since you aren’t a household brand it’s highly unlikely ranking for your name will generate much traffic. However, your name is also part of your brand and as a wedding photographer if a past client recommends you in passing it’s likely going to be by your name, not a phrase a Google searcher might use to find wedding photographers per se. First step is check what Google shows for your name, Maxim Dupliy. A simple Google search indicates there’s not a lot of competition (that’s good). Compare to my name David Law or David Cameron Law and both are relatively common (especially David Law). Since I no longer offer SEO services (used to) it wouldn’t make sense for me to spend a lot of effort targeting my name. When I did offer SEO services I used SEO Dave as my name to make it easier to brand and I used to have multiple listings for SEO Dave in Google. If you can easily find multiple webpages (your website and social networks) at the top for your name, you’ve covered people recommending you as a wedding photographer by name. They’d search your name in Google and find their way to your business site. I would strongly suggest linking your various social media profiles and website together. On Facebook for example under the About section add links to other social media profiles and websites you own. Make sure they are all linked in a way it doesn’t matter which one a person finds it’s easy to get to your business site. The links from social media networks pass no SEO benefit, but you should link them together so it’s easy to get to your business site. From my Facebook About page it’s easy to get to my Twitter, Pinterest, LinkedIn and various websites I own. Only 18 pages listed in Google: put a phrase between “speech marks” so Google looks for the exact match, gives an indication of how many webpages are specifically targeting a phrase rather than just using the words in any order. I’ve wrote about title tags at WordPress Site Title Tag SEO (this covers the home page title tag) and WordPress Title Tag SEO, well worth a read. The most likely webpage to rank high for hard SERPs is a home page. The home page tends to get most backlinks, so it tends to be the webpage to target the hardest SERP. More words you add to a title tag, harder it will be to rank for any of them. I’m sure you’d love the Wedding Photographer SERP, so if this was the hardest SERP targeted, the home page title could be just “Wedding Photographer”. However, realistically IF you ever rank top 5 for that SERP it’s going to take years to build up a link profile for that phrase: you will need a lot of backlinks with anchor text using the words wedding and photographer. It’s a relatively hard SERP, with this in mind target an easier SERP on the home page. Do you work in a specific area? I assume you don’t cover the entire world, so niche what you cover. Do keyword research: Google’s free Keyword Planner that’s part of Google AdWords is your friend. For example if I were a wedding photographer I might target my town “Wedding Photographer Skegness” (or “Skegness Wedding Photographer”) or the county “Wedding Photographer Lincolnshire” (or “Lincolnshire Wedding Photographer”) on the home page to make it easier to at least gain local business: didn’t check the Skegness or Lincolnshire Wedding Photographers SERPs difficultly, would assume relatively easy. If I also wanted to include my name site wide to make it easy for word of mouth recommendations to find me I’d add my name to the end of the title. That’s standard title tag formatting for a website you want to brand, but you are putting the main phrase first. Don’t care about branding, drop the brand name and just use a phrase as the title tag. I’m afraid you have to do this sort of keyword research for every webpage. Try to target a unique phrase on every webpage (unique title tags on every page). BTW As long as you don’t add the WordPress tagline to any of the title tags automatically (generally not a good idea) use the WordPress tagline to pre-sell your service/business. Your suggested tagline “Wedding photographer, wedding albums, prof. video, good customer service etc. ?” is a keyword stuffed list. If you are talking about what to add to your meta descriptions tag, see Meta Description Tag. The meta description tag should be like an advert for the webpage, make it compelling for Google searches click the link (like they would an ad). Note: I’m not very good at writing ads, so I don’t bother with the meta description tags. Of course,I read again articles you mentioned. Because i’m not so technical, it leaves me with some misunderstanding. Can i conclude and ask some things ? Here is the problem with Site Title: I write Wedding photographer on my language (not english) for local market and because people mostly search in local language , but my name – i write and want it in English. In WordPress Site title, because i use both languages, i can’t control that the Wedding photographer will be the first, because our local language is right to left language , Hence the name appears first. Is it a good sign to remove my name from Site Title ? If yes, then where to write my name ? 2. Also, in tagline, how much services you suggest to write ? 3. If i use Yoast SEO, what are suggested text for SEO Tile, Slug, Meta description and focus keyword , taking into account that i’m Maxim Dupliy and i’m wedding photographer? Is there some field that is the most important for SEO ? For example, for About me or Contact page or Blog page? Can you give example how to fill right this fields? I hope that by examples you can give, it’s more clear for people that are not so technical in code, like myself. Also, my theme doesn’t support my local language, hence the menus are only in English. Only inside pages i write in local language. P.S. Do you know if plugins like “WP Content Copy Protection & No Right Click” that protect from illegal image and text text copying, does the text that people see is still visible for Google ?